SAN FRANCISCO (Reuters) - Airbnb Inc's year-old tours and activities business is booking tens of thousands of travelers every month and is likely to be profitable late next year, the company said on Tuesday, highlighting success in its efforts to grow beyond renting rooms and homes. More than a year ago, Airbnb announced a broad effort to become a full-fledged travel company, adding to its home-renting business an assortment of new services such as excursions to see local attractions and restaurant reservations. The expansion is part of Airbnb's efforts to diversify its revenue sources amid global regulatory pressures. In some cities, it has been forced to reel in its core business, in which people rent out spare rooms or entire apartments or houses to travelers. Airbnb is betting that revenue from its new travel services will eventually eclipse its proceeds from home rentals. The company now expects its "Experiences" service, which travelers can use to book guided tours or activities hosted by a local resident, will by the second quarter be on track to have 1 million guest bookings in a year. That number assumes no growth in the business, Airbnb said, making it a conservative estimate. There have been more than 260 million home- and room-rentals through Airbnb since the company launched a decade ago. Experiences, one of four separate units within Airbnb, is on track to be profitable by the end of 2019, the company said. Experiences is an eclectic assortment of more than 5,000 excursions across at least 58 cities, ranging from wine tasting in California to glass-blowing in Chicago, making a kimono in Tokyo or guided meditation in Paris. Many capitalize on the locale, such as a tour to discover the hidden stairways in San Francisco. Airbnb said an additional 25,000 travel experiences will be available by the end of this year. The company charges the people who host Experiences a 20 percent fee. By comparison, Airbnb charges home renting hosts a fee of about 3 percent and guests up to 15 percent of the reservation. 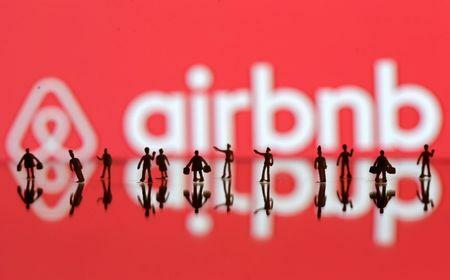 Airbnb, which is valued at $31 billion, has previously said the company as a whole is profitable. A spokesman on Tuesday declined to comment on the profitability of each of its other three business units - the home-renting service, a luxury vacation rental business and a separate China operation. Chief Executive Brian Chesky this month refuted widely held expectations of an Airbnb initial-public offering this year, saying it is "not going public in 2018."